Do you know the fairy tale about the princess with very long hair who was locked in a tower by an evil witch? Yeah, that one. I remember the time when I was reading it in a book borrowed from the library, imagining all those beautiful haircuts I could do with such amazing material. Got it? If you have ever belonged to those little girls and boys dreaming about scissors and hairpins (and towers, knights and other related stuff), welcome to the club. 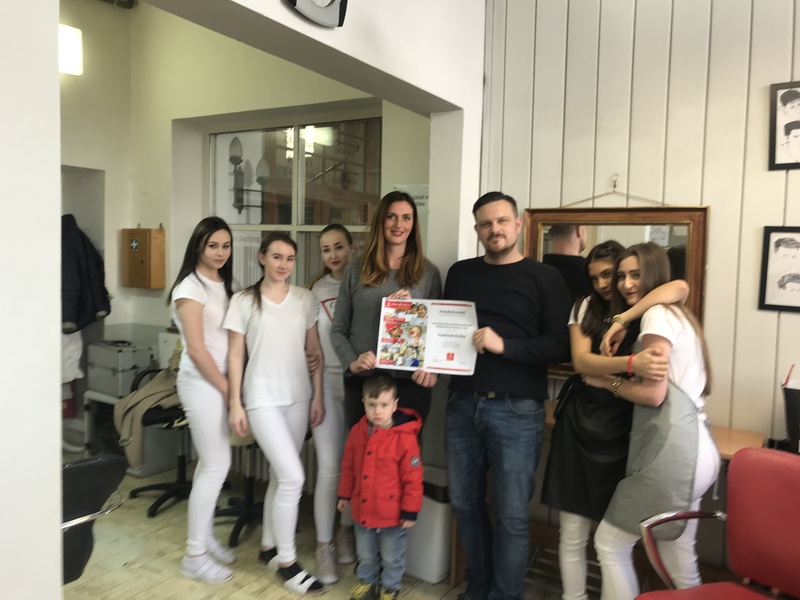 Among the girls in the Žatec children’s home, there are also few of those who are interested in the profession of hairdresser or beautician and thanks to C4C they got their chance: for more than 7 years now, Hana Ciprová and her daughter, Veronika Stumpfová, have been running hairdressing courses helping 10 girls to achieve their dream. They meet regularly in Prague, where they can learn from a true professional – for Hanka has been working with children in schools for hairdressers for 27 years! And her daughter, Veronika, can do magic in nailart. Although the courses were great from the beginning, for the longest time they faced one serious problem – useless equipment due to its age. Thanks to the connection of C4C with Nadační fond Veroniky Kašákové and the Oriflame company, girls can now enjoy not only a brand-new equipment, but also different sorts of cosmetic materials and hair colours. “We are very glad, that we can be part of this wonderful project, helping young people with their future. It is a big thing,” says Eva Juščáková, the project assistant of NFVK. But none of this would be possible without the help of the Metropolitan Hairdressing School (Metropolitní odborná umělecká střední škola v Praze) run by Jaroslav Kočka. The school kindly provides the course not only with its premises, but also with material and devices, given to the girls as a gift at the beginning of the school year. And for us from C4C, it is nice to see that we can find people willing to support our efforts and help children from children homes to live a happier life, enjoy doing what they like and prepare for life after they leave their foster environment.